When I was boy, most of my friend’s heroes and idols were either the stars of stage and screen or spent their time troubling the Top Forty with saccharine sweet pop songs that were dripping with, and saturated in, syrupy sentimentality. But my friends’ heroes weren’t my heroes. My heroes wrote books, invented games, brought skeleton warriors to life on the silver screen, broke the sound barrier and rode rockets. I knew who Chuck Yeager was before I’d even heard of the Famous Five and could recite the names of the twelve men who walked on the Moon, and the order in which they did so, by the time I entered my first year of Junior School. Four decades later, I’m still as fascinated by space and enthralled by the astronauts and scientists who continually push, and pushed, the boundaries of human achievement and endeavour as my five year old self was the first time my father told me the story of Edwin “Buzz” Aldrin Jnr, Michael Collins and Neil Armstrong and their journey to the Moon. And I suspect that Matt Fitch, Chris Baker and Mike Collins, the creative team responsible for Apollo, were, and are, as equally enamoured by NASA and the Mercury, Gemini and Apollo space programmes as I am. 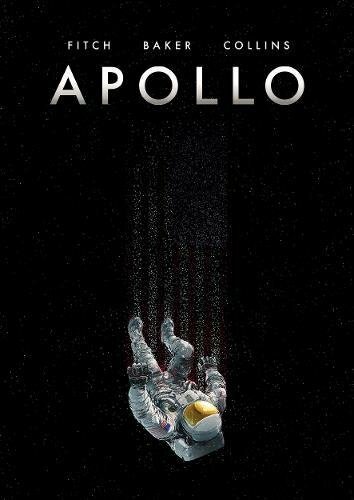 Apollo tells the story of the first manned Moon landing, Apollo 11, and the men who travelled to, and became the first people to walk upon the surface of, another world. 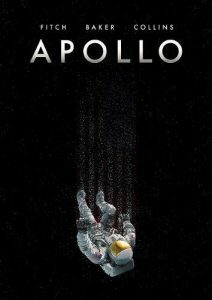 While it’s a matter of historical record and an incredibly well documented event, by both the astronauts themselves and numerous other sources, Apollo differs from its predecessors by choosing to focus on the human drama and the ambitions, hopes, fears, dreams and personal demons and issues that drove Collins, Armstrong and Aldrin to make the professional choices and become the men they did, which ultimately set them on them on the course that led to the lunar surface.